EuroMillions syndicates are a fun, odds-boosting way to play for an incredible EuroMillions prize. If you’re wondering how to play EuroMillions syndicates for an odds boost of your own, the good news is that it’s possible to play online! But wait, there’s more to EuroMillions syndicates than great winning odds. The biggest EuroMillions syndicate winners have won enormous prizes! Those are 2 great reasons to play EuroMillions syndicates online: great winning odds and great winnings! On February 19th, 2019, a family syndicate from Naul, Dublin made lottery history when they won a EuroMillions jackpot worth €175 million. Not only is one of the top 10 EuroMillions jackpots, but it is the largest group win for this lottery. The Irish winners chose to remain anonymous, so they sent a member of the family to represent them and collect the prize. They said that they are still in disbelief of the EuroMillions windfall and that they would like to keep their lives as normal as possible. The Naul family became local heroes, as everybody in town was absolutely thrilled about the big jackpot win, especially Les Reilley of Reilley’s Daybreak, the local shop that sold the local ticket. Life changed for the better for the members of the Dublin work syndicate on the night of 24 January 2017, when they won an incredible €88.5 million EuroMillions jackpot! The syndicate discovered they were winners the very night of the draw when one of the members checked the EuroMillions results on his phone and received a message to contact the National Lottery, the EuroMillions operator in the UK. They decided to remain anonymous, but it is probably safe to say that each person’s share of the jackpot was enough to make their dreams come true. The Spanish are well-known for playing the lottery together, but on February 23rd, 2018, they have asserted themselves as Europe’s biggest syndicate players. The Manilva syndicate scooped half of a €174 million EuroMillions jackpot that evening, as there was a second ticket with the winning combination. Their share amounted to €88 million, which was split between the 140 members of the group. They were part of a lottery club and the EuroMillions was their favorite game. As you can see, their diligence really paid off in the end. It looks like the old adage about the luck of the Irish has some truth to it. Another Irish syndicate won a huge EuroMillions prize, €86,700,000 to be exact, in September 2014. In fact, there have been so many EuroMillions winners in Ireland that Dublin is becoming a destination for buying lottery tickets! This winning syndicate decided to remain anonymous, so it’s unknown how many people were in the syndicate and how much money each member received. However, with a win that size, it’s hard to think that anyone was unhappy with their share! This story needs a bit of context first. Sonia Davies, the matriarch of the family, traveled to Florida to undergo a complex surgery to remove a tumor from her parathyroid gland. The procedure was successful and Sonia was feeling extremely lucky, so she called her daughter and instructed her to buy some lottery tickets on the family’s behalf. 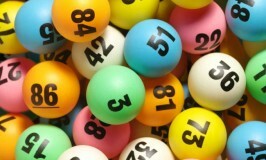 That turned out to be another successful procedure, which netted the family a £61 million jackpot! This goes to show you that inspiration can bring about remarkable things. In case you still had doubts about the luck of the Irish in the EuroMillions, then the third Dublin syndicate on our list will obliterate any trace of that. On December 29th, 2017, a family from Dublin matched all the lucky numbers for a £38.9 million jackpot. They decided to stay anonymous because they wanted their lives to stay as normal as possible even after their lotto win. They plan to open their own business and to provide financial support for their extended family. If you don’t live in a country that offers EuroMillions, don’t worry, you can play EuroMillions syndicates online! When you play EuroMillions syndicates online, you’re playing with dozens or even over one hundred lines, therefore, your chances of winning are dozens or even over a hundred times better. Play today for your chance to be a huge EuroMillions syndicate winner!